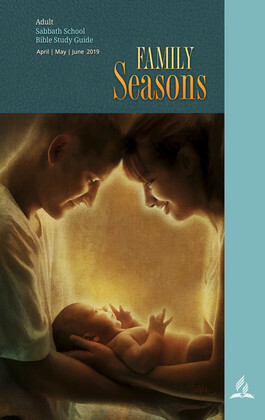 Hi Church Family, here's our bulletin and the "Family Seasons" Nugget for this Sabbath. God bless! Hymn of Praise* #317 "Lead Me to Calvary"
Tithes & Offerings Nathan Morgan "Local Church Budget"
Scripture Seth Morgan "John 15:1-5"
Welcome visitors. We are so glad you could worship our Creator with us today! Come join Pastor Korter's New Believers Sabbath School Class. 9:30 AM in the Fellowship Hall. Please feel free to invite your friends, neighbors, co-workers and family. We will be growing together in our walk with the Lord and the knowledge of God's Word! Baptism. Please welcome Gabriel Patchen to our congregation. CCA Frozen Fruit Fundraieser. See flyer inside bulletin. CPR. Join us for our new Wednesday night meeting in the South Classroom at 6:30 PM. Bridal Shower. April 28, 2019 at 2:00 PM for Kenneth Pearsall(Leslie & Phil’s son) and Nicole Watson in our Fellowship Hall. They are registered at Bed, Bath & Beyond and Amazon. Please bring a 3x5 card with your favorite recipe. Town Hall Meeting. May 1, 2019 at the Wenatchee SDA Church at 7:00 PM. Baby Shower. May 5, 2019 at Noon for Sheila Burkhardt(baby girl) in our Fellowship Hall. This will be a brunch, potluck event. Annual Softball Game. May 19, 2019 at the CCA Ballfield at 10:00 AM. Haystack meal and supervised playground activities for the children will be provided. RSVP Jenny @ 509-741-0329. Church Campout. June 28-29, 2019 at Squilchuck. Donations requested but not required to pay for campsite. Interested in creating a will, as well as power of attorney and other estate planning documents? Free estate plan creation is offered as a service of the Upper Columbia Conference Trust Dept. for UCC members, and a representative will be in the area Friday, April 19 to Sunday, April 20, and can fit in several appointments. For more information, or to schedule an appointment for another date, call Wayne Searson at 509-979-2248 or E-mail waynes@uccsda.org. "Our Church janitor position is being posted for church members to apply. This position has helped families over the years with CCA tuition. Church families who currently have children attending CCA are encouraged to apply. A revised job description of the duties and responsibilities is being drafted and will be available soon. Application forms are on the table in the back office hallway." Please return applications to the Church Secretaries Office. CCA Childcare Director. Seeking applications for the director position. Please pray over this very important job opening. We welcome you to share this job posting with your family and friends. We can’t wait to see who God brings our direction! For more information please text/call Jackie Stonas at 509-293-1800. 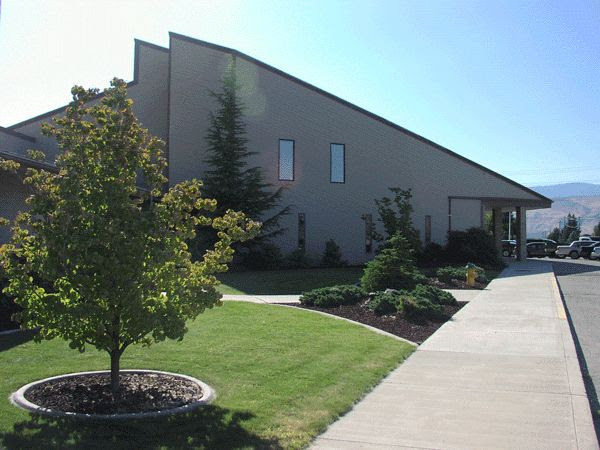 CCA is seeking qualified applicants for the position of Facilities Manager, responsible to maintain the buildings, grounds, and vehicles in order to present a neat, attractive appearance, with all systems kept operating in sound, working order. Interested applicants are invited to visit CCA to obtain a detailed job description and application packet. Contact Warren Davis (509-670-4004) or Tracy Ringering (509-679-3074) if you have questions. Resumes and applications are due by April 24. Wildwood Lifestyle Center. For over 75 years, we have helped people not only stop disease progression, but also naturally reverse it. The 11-day and 25-day programs provide patients with the life they were always meant to live, both physically, mentally and spiritually. Call us for your healing not only for your illnesses, but also for your soul 1-800-634-9355 or visit our website at wildwoodhealth.com. God bless, Jerry Verstraten. Farm Fresh Eggs Available. In the refrigerator in the kitchen. $2.50 a dozen. Mark tithe envelope “Worthy Student Fund."